“Curated by Van Alen Institute, New York, this exhibition illustrates the diverse responses to traumatic events that have had a dramatic impact on urban life. A selection of temporary, permanent public architecture projects and art projects are shown as examples of how citizens across the world have rebuilt, remade and rethought their urban life. The cities represented are: Beruit; Berlin; San Francisco; Kobe; Manchester; Oklahoma City; Sarajevo and New York. Rather than concentrating on attacks, damage or devastation the exhibition focuses on reconstruction success stories where vital urban places are integrated with specific monuments to tragedy, working together as a living memorial”. “Over the course of 12 days, 125 secondary school students explored four different sections of Glasgow’s Merchant City. Starting with an open topped bus tour the students created a conceptual cardboard model of the city based on the famous grid system. This exhibition will showcase the amazing 3 dimensional model they created, which spans over 5 square metres”. “Glasgow, 27th January 2003 – Emerge brings together 15 students from the mackintosh school of architecture whose final year thesis projects were considered to be of an exceptionally high standard and who have undertaken a further course to gain a postgraduate Masters Degree. The exhibition will show the culmination of a three months detailed investigation into one aspect of the original thesis project. As one of the aims of the course is to clarify the intentions of the thesis, public exposure and discussion is imperative. Emerge will show a careful selection of works in the basement of Merchant Square in the heart of Glasgow. Entry to the space is through a covered courtyard of cafes and bars. During the exhibition there will be a public forum to discuss the work on show”. Adelaides, 209 Bath Street, Glasgow. GIA Design & Build Debate – Who’s Driving? The future has always been over sold and under imagined. This theme is developed with various examples dating up to two thousand years ago. The inspirational presentation is intended to help everyone to think about the future both metaphorically and practically. A few recent projects and research issues are also woven into the story. 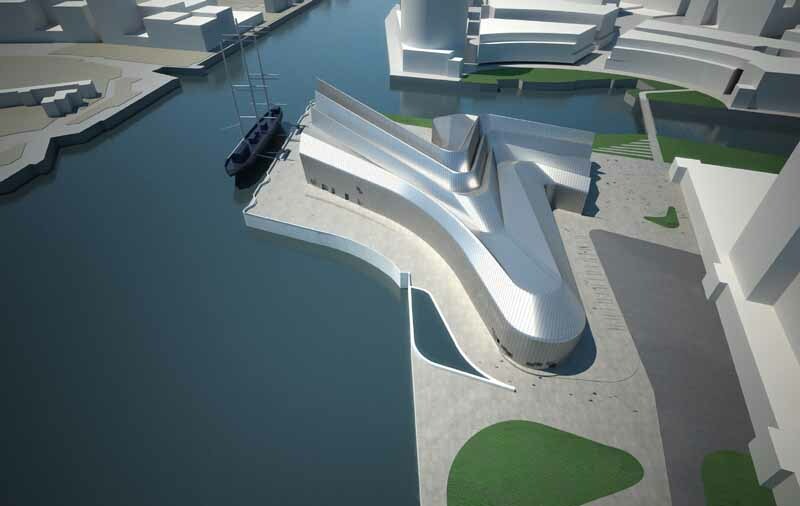 By Chris Luebkeman – Head of Ove Arup R&D. Chris Luebkeman is Architect and Structural Engineer and, until recently, Professor at MIT.